Not really 🙂 This young Thanda Elephant bull was changing direction rather quickly as he was chasing some Cape Buffalo. 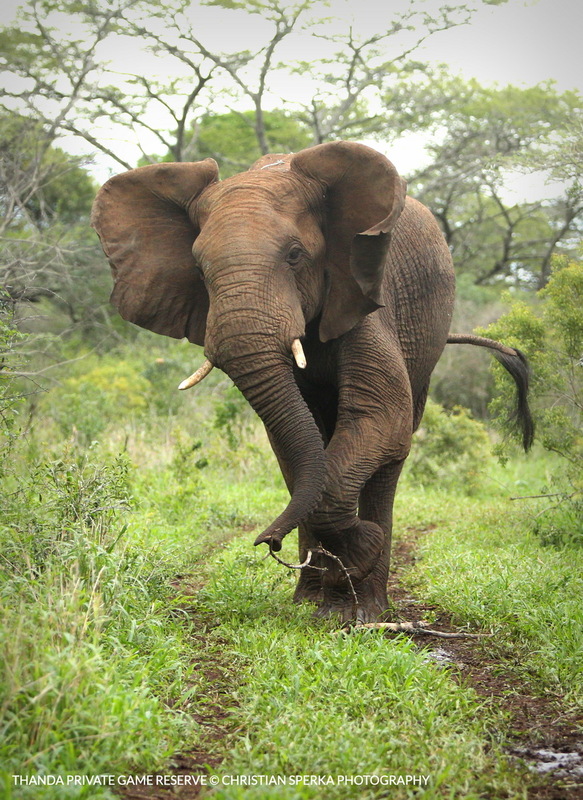 One of my favorite Elephant shots ever! The Thanda guests enjoyed the very active scene. Elephant chasing Buffalo and Buffalo chasing Elephants. ← Under the sacred marula tree!